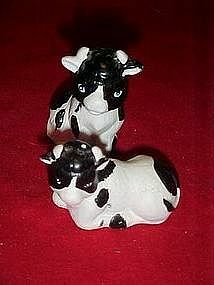 This little set of holstein cow shakers measure 3" (tallest). One is missing a plastic stopper.But they are in perfect condition. Made of unfired porcelain with cold paint decorations.